March 7, 2018 | Matthew R. Arnold, Esq. The sad reality is that one of the many hurdles personal injury victims often are forced to overcome is the skepticism by some concerning the severity of their injuries. The idea that those who have been involved in accidents that resulted in injuries are somehow faking the harm they have suffered or exaggerating it for effect exists among a certain segment of the population. In court, it is important for plaintiffs to attack this notion directly, using testimony and medical evidence to demonstrate that injuries really occurred and that the pain suffered by the victim is legitimate. Conveying this to a jury can be difficult in any event, but becomes much harder when the defense works aggressively to undermine the victim, planting seeds in jurors’ minds that the pain is a fiction. One of the most common ways that the defense does this is by trying to relay to the jury that the plaintiff is motivated not by serious pain or a desire to do justice, but instead by money. Though the plaintiff’s attorney can put together a case that refutes this idea, the judge presiding over the case also has an important role to play to ensure that information designed to bias a jury is not admitted into evidence. This issue was recently tackled by the Arkansas Court of Appeals, which handed down a verdict in favor of a personal injury plaintiff who had been smeared by the opposing party. The case concerned an injury that occurred back in 2012 when a woman, Sherry Glover, was involved in an accident with the driver of a van owned by a furniture store. The driver of the van sideswiped Glover, leading to serious and permanent injuries to Glover’s neck and back. In addition to causing new harm, the crash exacerbated several of Glover’s preexisting conditions. As a result, Glover filed suit against the driver and his employer. 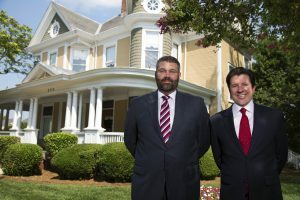 Prior to the start of the trial, Glover’s personal injury attorney worked hard to ensure that testimony designed to bias the jury would be excluded from court. In particular, the plaintiff’s counsel sough to have testimony from Dr. Raymond Peeples kept away from the jurors. Dr. Peeples had provided an opinion that Glover’s injuries were not real, but instead malingering, meaning that she was exaggerating the harm she actually suffered. Dr. Peeples did not stop at saying that the injuries were exaggerated; he went on to explain two reasons for why the malingering might be taking place. First, he testified that that Glover was likely motivated by financial gain. 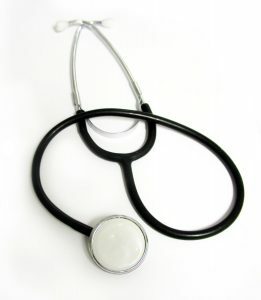 Peeples noted that the American Medical Association claims that the only people who complain about neck or back pain following minor traumas are those involved in litigation. He made clear that he believed that Glover’s desire to receive financial compensation was the real cause of the lawsuit, not the injuries she suffered. The second possible explanation for the malingering, according to Dr. Peeples, was that Glover has a personality disorder. What made these opinions even more galling was that Dr. Peeples arrived at his conclusions without ever having examined or even met with the plaintiff. He based his determination solely on a review of her medical records; something that the plaintiff’s attorney argued demonstrated his lack of knowledge on the subject. Despite these seemingly understandable criticisms, the judge presiding over the case disagreed with the plaintiffs and allowed the testimony of Dr. Peeples to be included at trial. Unsurprisingly, the jury ruled against Glover. Glover appealed the ruling and the state Appeals Court came down on her side. The Court recently held that the testimony offered by Dr. Peeples was irrelevant to the facts at issue in this case. Moreover, the Court went on to say that the even if the testimony had been relevant, it ought to have been excluded given that the probative value of the information was substantially outweighed by the danger of unfair prejudice it presented. The Court noted that the testimony was highly likely to mislead and confuse the jury and lead them to determine that Glover was motivated purely by monetary concerns. The case will now be sent back to the lower court where the hope is that Glover will receive a fair hearing of her claim this time around.